What does a "Toxic Company Culture" look like from the outside? While I'm writing this post, I can't help but feel a little irresponsible for opening up this can of worms before I have completed more research on the topic. At the same time, I’m compelled to at least address the issue and hopefully create some momentum, if not just for myself, on the topic. What a week for company culture. News just broke that CEO of Texas Instruments,Brian Crutcher, just resigned after code of ethics violations were discovered. The Papa Johns CEO debacle and last but not least, the EEOC announces a Federal Investigation of Uber, for alleged gender discrimination. Texas Instruments CEO Resigns After Code of Conduct Violations - WSJ Texas Instruments Inc.’s Chief Executive Brian Crutcher has resigned over violations of the company’s code of conduct, the chip giant said, less than two months after taking control of the company. 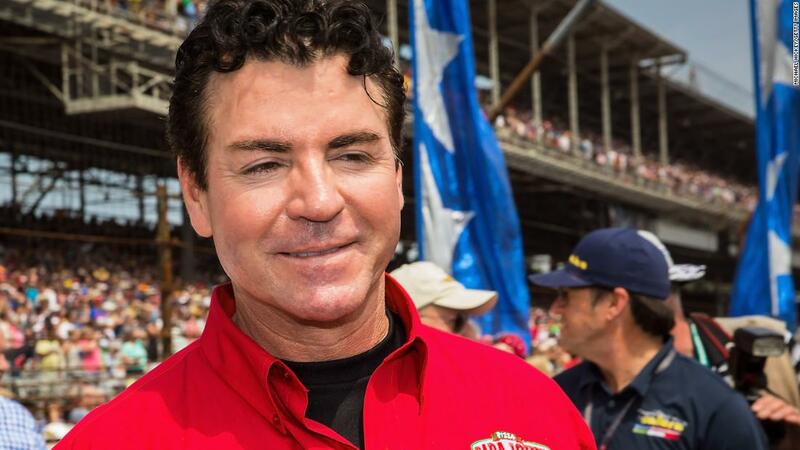 Forbes: Papa John's founder used N-word during call - CNN Video The founder of Papa John's, John Schnatter, reportedly used the N-word during a conference call in May, according to Forbes. A spokesperson for Papa John's said the company "condemns racism and any insensitive language, no matter the situation or setting." Let’s tackle how to change corporate culture for another day. For now, I just want to see what free resources are freely available to warn potential employees that a company has a potentially unhealthy or toxic corporate culture. Wow, Uber has 4.1 stars for Culture & Values. Let check on Texas Instruments. Nope, nothing here that raises the “toxic culture” red flag for either company. Wait, Uber is on Glassdoors Best Places to Work and Top CEO's. Nice. What other "Best Places to Work" List. Oh, I know, let me check to see if Uber has a low ranking on those “Best Places to Work” list. Ok, LinkedIn put Uber as the 12th top company to work for 2018. Thank you LinkedIn. Comparably Awards are provided yearly to top performing company cultures based on real feedback from their employees. Rats. I was expecting to see a pirate ship. Ok then, we have some work to do to close the gap from those crafty spinsters in PR and Employer Branding and the reality of a toxic workplace. Currently, I'm attempting to write my first book on work culture. I’m still in the research stage and have not decided on a book title, but the subject matter covered is fascinating, to me at least. Can a company culture be quantified, classified, and backed by science? The idea is for any potential employees, investors, and the general public to be able to get a third party assessment of an organizations culture. Kinda of like the "Consumer Reports for Company Culture" or a "Culture Credit Score". In other words, can something so nebulous and complex as “corporate culture” be whittled down to a data set? And can this organization culture dataset be obtained using publicly accessible information? And for the for the final touch, can someone looking for a job, use this same technology to figure out if they are a good fit for any organization? So much to do and so little time. Keep in mind that I’m doing this on my own. I don’t have any funding or Federal Grants (hmm, maybe I can get funding or a grant?). This what I like to call one of my passion projects. The Open Source Company Culture Research Project (I know, it needs a better name). The more data we I have the more impact the research and project can make. I would love to hear some ideas on the best way to organize and kick off this project, so please let me know if you have any ideas. Thanks for reading this post and stay tuned for more.